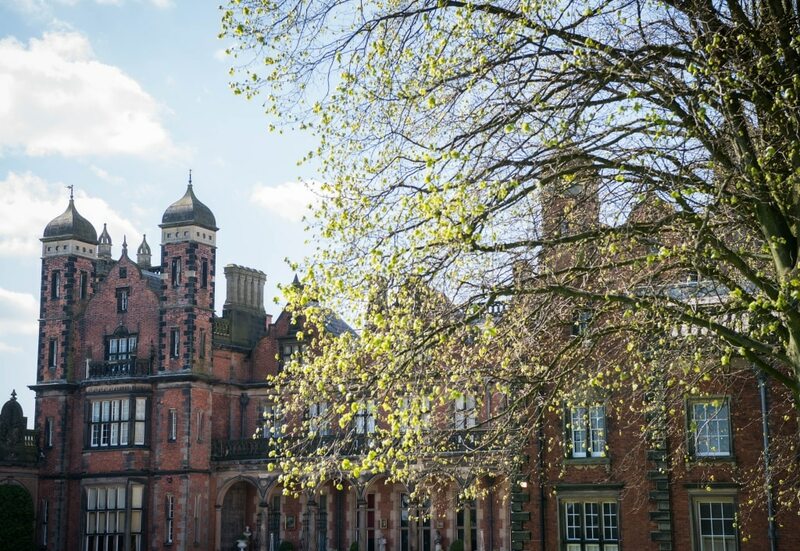 Capesthorne’s picturesque gardens and elegant rooms make it a perfect venue for your dream wedding at any time of the year. 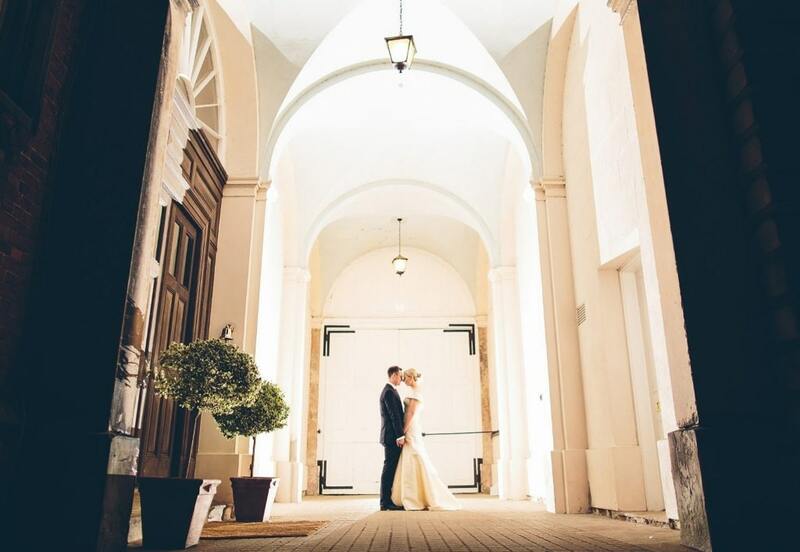 The Hall and Lakeside Wing are offered on an exclusive basis giving you your own stately home for the day. The Drawing Room, with its magnificent chandeliers and Italian paintings, is used for Civil Ceremonies. The Queen Anne room, with its ornate fireplace, is used for Wedding Breakfasts for up to 80 guests. The Saloon is a beautiful room for drinks receptions and leads out onto the Terrace and West Lawn. For Civil Ceremonies or Wedding Breakfasts for up to 160 guests, our Lakeside Wing can be used. This is where evening receptions are held and provides views over the lake and formal gardens. It comprises the Garden Room and attached marquee plus the option of the adjacent Bromley Room. The Lakeside Wing can be hired independently from the Hall midweek and some weekends, subject to availability. A Civil Ceremony in the Hall can be followed by a Blessing in the private Family Chapel, by arrangement. 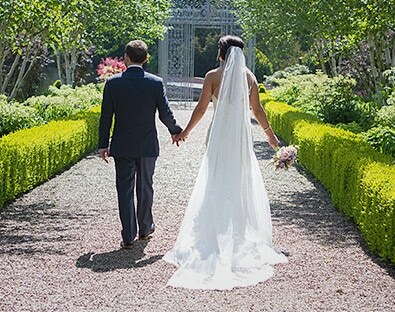 Outdoor ceremonies can take place in the grounds, a popular location being by the gazebo overlooking the lake and formal gardens. To accommodate larger weddings there is the option to erect a marquee in the grounds.